We are a leading provider of rug cleaning services in Manhattan. Customers in the Manhattan area continue to hire our professionals to handle their rugs because we know how to do it with care. We hold ourselves to three strict core values which include reliability, integrity, and honesty. When it comes time for you to choose a rug cleaning company to work with, you do not want to take the decision lightly. Your rug needs to be handled with care or it can be ruined. The wrong chemicals and solutions on your rug can cause your rug to suffer damage that may not be able to be reversed. A well cared for rug is able to last 150 years and longer, which makes them nice family heirlooms. At Rug Cleaner Manhattan, we are ready to provide you with a clean that is seen and felt on your rug. 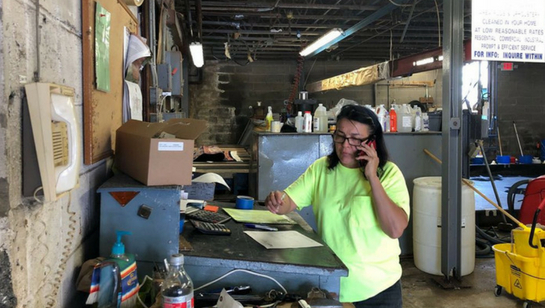 If you would like to schedule service with us, now is the time to call our company at 212-378-9720. 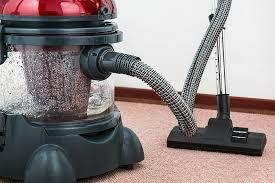 We are a premier provider of rug cleaning services in Manhattan and we work hard to keep our prices as low as possible. We want you to be able to enjoy a beautiful, clean rug in your home at an affordable price. When we come out to provide you with a quote, the price you see is the price you pay. We will never charge you any hidden or surprise fees. We back all of the services we perform with a satisfaction guarantee. We want you to be happy with the services you receive, and we stand behind that. Our rug cleaning techs are reliable and prompt. We know that your time is important, and we do not waste it. We show up on time and can work around your schedule to ensure you receive the services you need when you need them. Unlike other companies who provide you with four to six-hour time windows, we let you know when we will be there, and our team will call you when we are on our way. You should never leave your rug in the hands of someone untrained to handle it. Our professionals are all licensed, insured, and bonded to provide you with the best services. Our team members have undergone extensive training to ensure they know how to handle your rug at all times. Your rug is unique in nature and we have created a step-by-step cleaning plan to handle each type of rug from Persian to Oriental, Turkish, handmade, and more. If you would like to learn more about our cleaning process rugs or you would like to schedule an inspection and cleaning service, call Rug Cleaner Manhattan today at 212-378-9720. 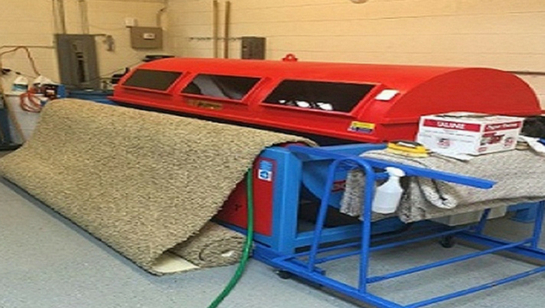 Rugs cannot just be placed into an automated machine and hope for the best results at the end. In fact, doing that can ruin the rug. Our team is passionate about rugs and we take great pride in cleaning them. We are able to repair and restore your rug should it have lost its color or luster. There are different ways that your rug can become damaged. For example, a table leg on your rug can lead to a hole should the table be too heavy or should water pool around the leg of the table.